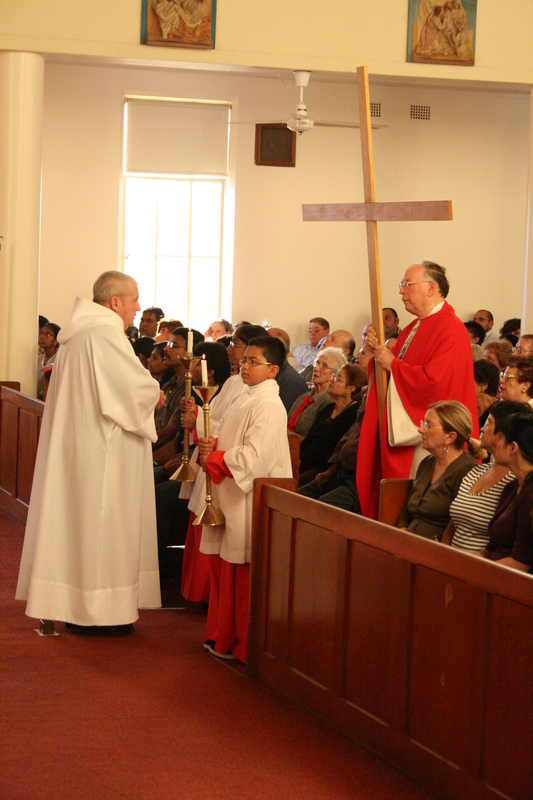 The recent celebrations of the Easter Triduum required a great amount of preparation. Without the dedicated service of parishioners, particularly in the various liturgical ministries, these celebrations would not have been the success that they were. As a role open to “lay ministers”, we can and do encourage all parishioners who have celebrated First Communion, male and female, to participate in this important ministry. While some might remember the “altar boys” of past generations, servers today may be children or adults. The General Instruction of the Roman Missal goes on to explain that if there is only one acolyte present at a Mass, some of the duties which he is not bound to do may be carried out by altar servers (article 187). Given that we presently have only one actively serving acolyte in Wentworthville, the support of our altar servers is essential! The ministry of acolyte, unlike that of the altar server, is more limited in its membership. After a period of formation, men are admitted to the ministry of acolyte through a liturgical rite of institution. This is different to the blessing of servers and, like ordination, is a perpetual state. The acolyte has both specific functions at the altar and in supporting the parish priest in the pastoral care of the community.